Cleveland, Tn.-based Legacy Senior Living assumes ownership and management of 29-unit senior living community serving Montgomery, Al. Prattville’s Hickory Hill Specialty Care Assisted Living is now the Harbor at Hickory Hill. 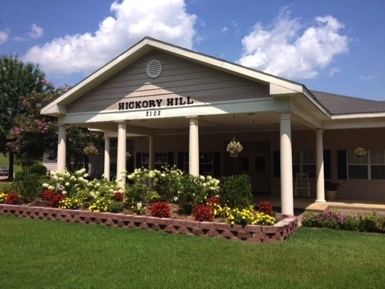 Legacy Senior Living announces the July acquisition and management of Hickory Hill Specialty Care Assisted Living in Prattville, Al. “We love serving the seniors of Montgomery, Al. and look forward to becoming a part of the Legacy family,” Christy Goodwin, executive director of The Harbor at Hickory Hill, said. The Harbor at Hickory Hill, located at 2102 Summit Pkwy. in Prattville, is a quaint community consisting of 29 memory care units, with 32 beds. The Harbor at Hickory Hill joins a growing family of ten other assisted, independent or memory care facilities owned and/or operated by Legacy Senior Living. The new ownership will begin a signification renovation, including a total facelift for both inside and outside. The interior renovation will include decorated themes used in several of Legacy’s other memory care facilities, known as The Harbor. The Harbor is a place of refuge and safety from the storms accompanying dementia and Alzheimer’s, officials said. “The Harbor is a result from years of planning and development with notable experts in the field of memory loss. The Harbor’s overall theme, design, colors, furniture, and common areas, all reflect a 1950’s theme, to remind residents of happier times,” Barry Ray, president of Legacy Senior Living, said. “We look forward in getting to know our Prattville neighbors. We are committed to serve the greatest generation with honor, respect, faith and integrity and are excited to do so as we join the Hickory Hill community,” Bryan Cook, chief operating officer of Legacy Senior Living, said.